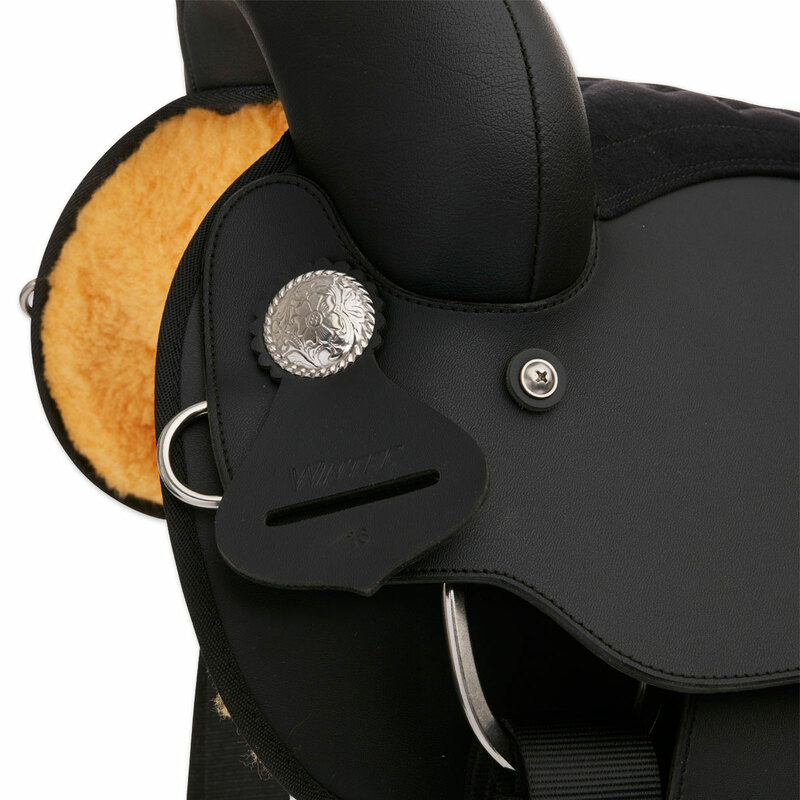 This best selling Wintec saddle is durable, easy to maintain, lightweight, and affordable! 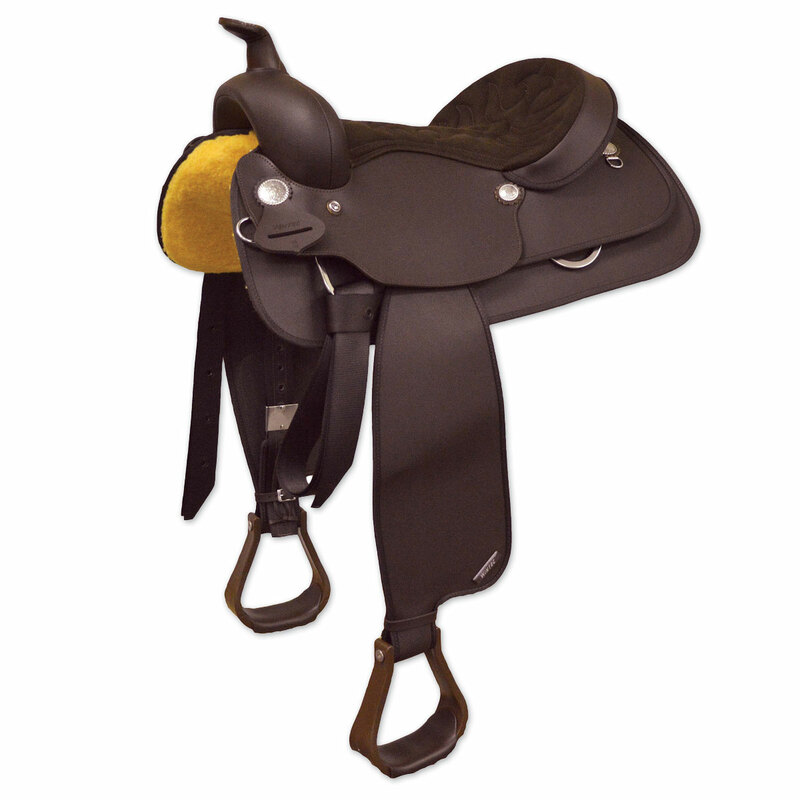 Wintec Western Semi Quarter Horse Synthetic Saddle is rated 4.5 out of 5 by 11. Rated 5 out of 5 by kenkarle from Now we have two! Mustang Monte and I liked the first Wintec Semi Quarter so much that it was a no brainer when the time came for Mustang Ellie's first western. Details? See my previous review. Rated 4 out of 5 by curlymoo from Nice cheap saddle Normally, I ride english, but I moved to a barn with beautiful trails so I decided to get myself a western saddle. I barrel raced for years when I was younger so I'm not a newbie with western. I know quality when I see it. This saddle is decent. It's perfect for my needs. It's just a nice comfy saddle that holds up well for long trail days. I got it in black and it looks stunning with my fancy parade breastcollar that I inherited from a friend. Honestly, it's not a great saddle, and has a somewhat plasticky feel to it, but it works well enough for me and that's all I need. I find it so much better than the Wintec english saddles, which get slick when you sweat and don't mold to your body well. 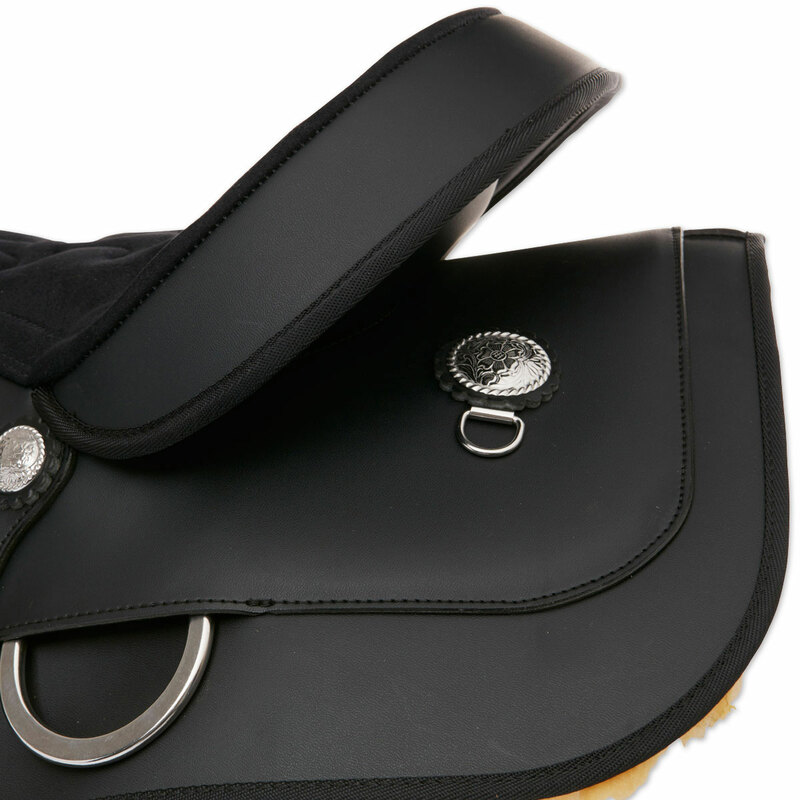 Rated 2 out of 5 by onwardb from Nowhere near the quality of Wintec English saddles I love Wintec English, stock and dressage saddles so took a chance on the Western Wintec. Have to say, though, that the amount of "pleather" material makes it look, and more importantly feel, like way too much plastic. Can't imagine what it would be like to try to ride in this in hot weather. The workmanship was up to par with all of the other Wintec saddles I've owned, but unfortunately, it just looks and feels "cheap". Sent it back immediately. Rated 5 out of 5 by RGD8 from Great Saddle...would recomment it, but! 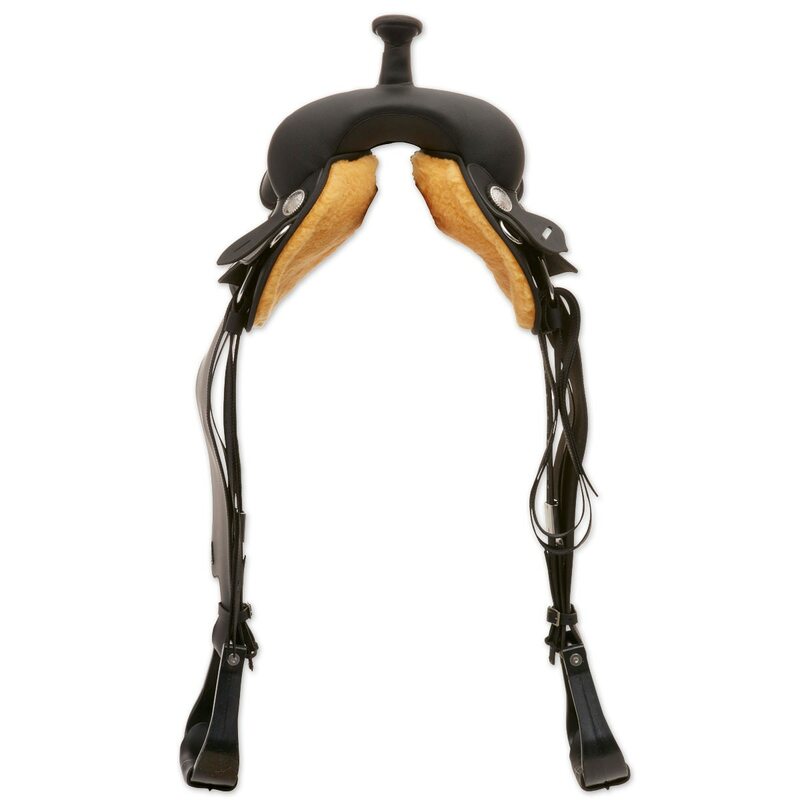 I love Wintec saddles. They are well made, light weight, and comfortable...the problem is they don't clear my TB withers so they didn't fit him. 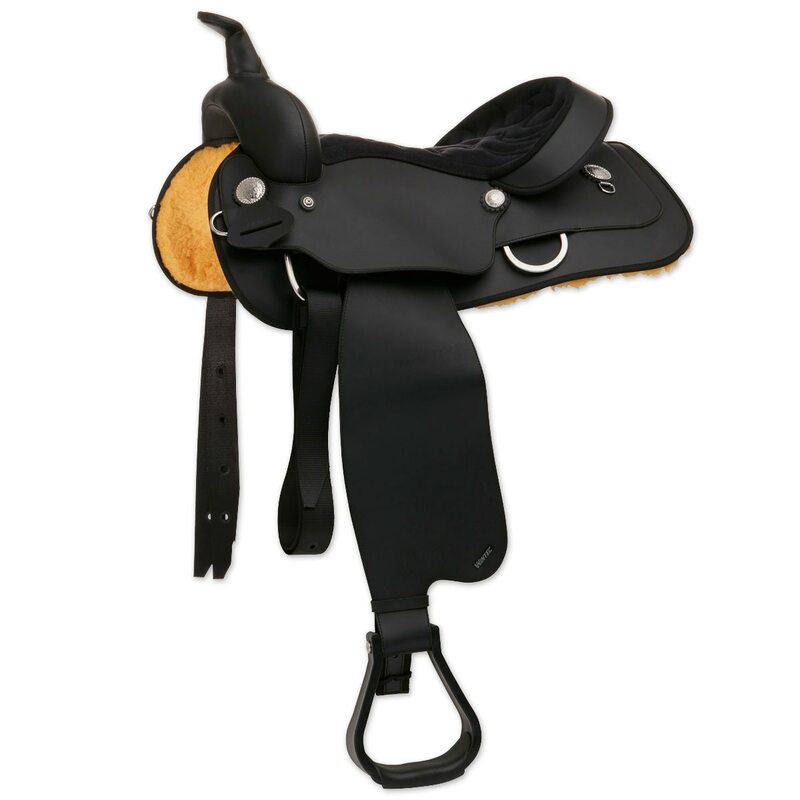 However, I would recommend this saddle to anyone who's horse doesn't have high withers like mine. I tried the full and semi bar and neither fit properely but again that was because of his high withers. I HIGHLY recommend getting a test saddle and trying it out before you purchase it which is why I love SmartPak. They really care about their customer which is the horse and the rider. Thank you SmartPak for your test saddle option. Rated 5 out of 5 by kenkarle from My Mustang and I Love It! 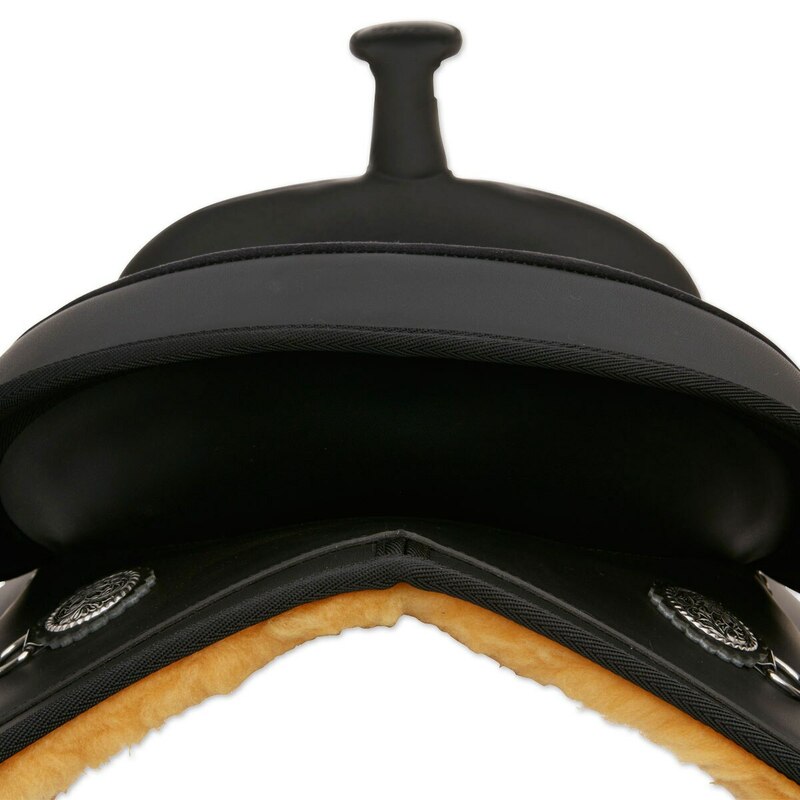 Most comfortable saddle ever for both horse and rider. Light weight means easier to saddle and less weight my horse has to carry. Very well made. I kept the test ride saddle as it was virtually new. Getting another as soon as my other mustang is ready. Rated 4 out of 5 by Libby2563 from Good for the price but didn't fit my warmblood I bought this hoping it would fit my 16.2 hh warmblood. He's not your typical Western saddle user I suppose, but he's not a monster either. This saddle was too narrow for him, so the bars dug into his shoulders and there's no way it would have been comfortable for him. It is obviously a pretty low-end saddle (a little cheap looking, minimal padding, etc) but about what I'd expect for the price. If it had fit my horse, I would have kept it. Thankful for SP's good returns policy! Rated 5 out of 5 by jetbeauty from Money well spent Good saddle at a very fair price. Not leather but this saddle is durable and comfortable, and Wintec does have a very good reputation. The lightweight feature is the main reason I bought this saddle for both seniors - myself and my horse. Not disappointed at all. 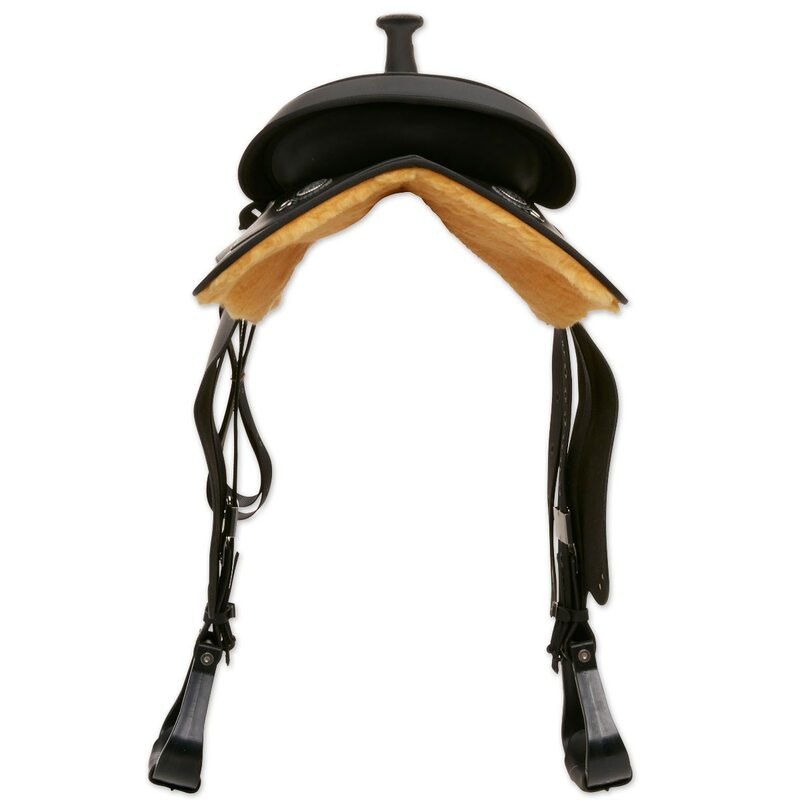 Also great free shipping policy for trial saddles and final purchase. 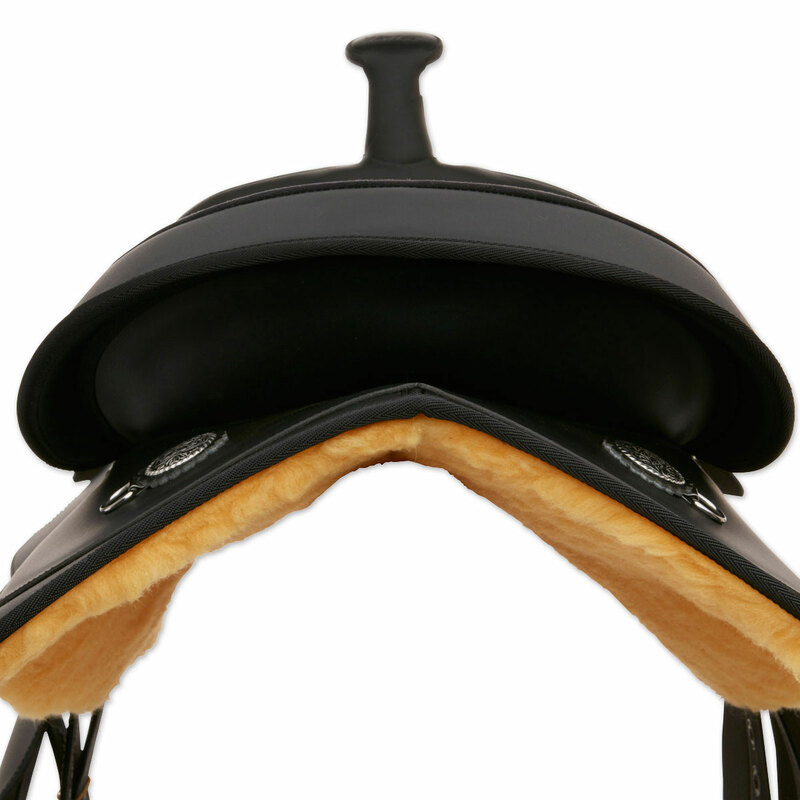 Rated 5 out of 5 by cvanboening from Nice saddle I thought the saddle was very nice for the price. I ordered the semi quarter horse tree but it was too small. I am going to order the full quarter horse tree. 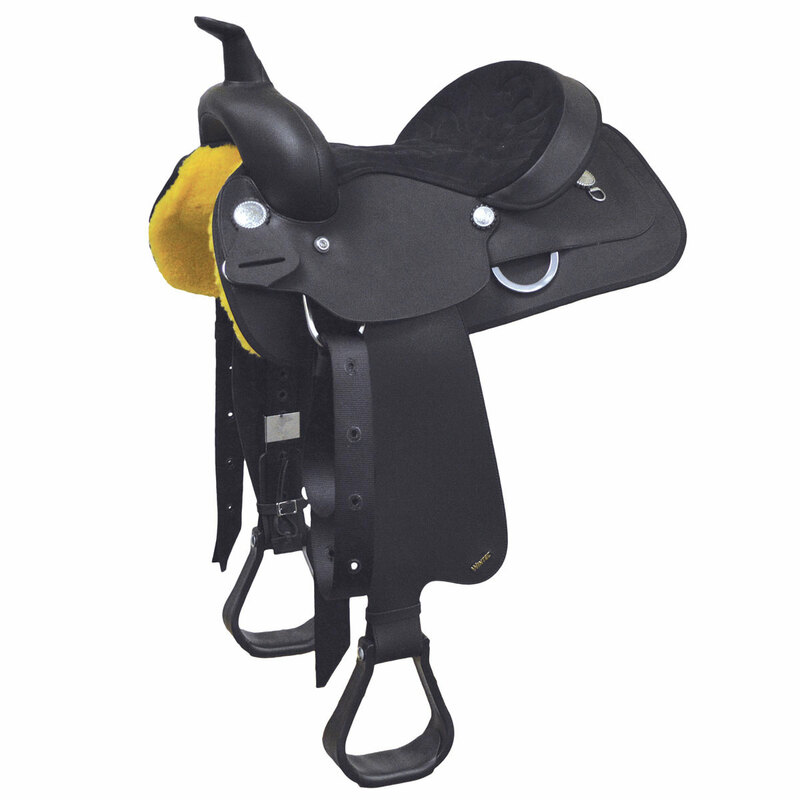 Rated 5 out of 5 by Grumpma from beautiful light weight saddle I purchased this saddle about a month ago and love it. It is comfortable for me and light enough that I can saddle my horse with very little effort. Both my horse and I are senior citizens so this is a plus for both of us.